One of the best things about PChrome chrome spray kits is that they can be used with the painting equipment that you already have, including an HPLV paint gun. When you choose PChrome, you will not need to go out and buy new, expensive equipment. We understand that many shops prefer using their HVLP paint guns, and there is no reason why you shouldn’t be able to continue doing so just because you have purchased some spray chrome. Here is what you need to know about HVLP paint sprayers, their advantages, disadvantages, how to use them and common issues that they might have. 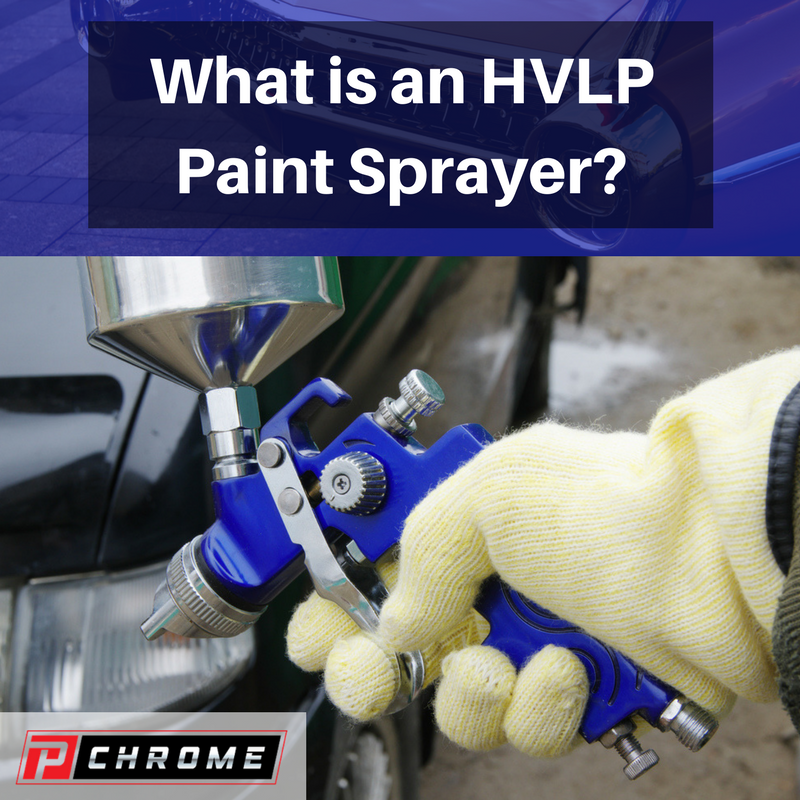 To begin, we are going to start by answering the question, what is an HVLP paint sprayer? HVLP paint sprayers are modified based on their high-volume, low-pressure technology. While conventional paint guns use compressors in order to get high pressure to paint, HVLP guns use low pressure using a regulator to control the flow rate. This helps to make your chroming job more efficient by reducing waste while you apply your PChrome spray chrome. When you use your HVLP automotive paint spray gun, you can lessen waste and reduce overspray. The guns do have both advantages and disadvantages over conventional guns that you should be aware of, however. HVLP paint sprayers have greater transfer efficiency because using the lower pressure results in less viscosity of the particles. They are also safer because there is a reduced chance of injecting paint in an accident. Waste also is significantly reduced. These guns also have fewer maintenance needs because of the lower pressures that are involved. With the attached regulator, you have greater control over your HVLP paint gun. These guns are also the greener choice because they cause less waste than do conventional paint guns. There are also several disadvantages to using HVLP paint sprayers for your PChrome applications. Since there are lower pressures involved, the painting speed will be slower. Because the lower pressure means that high viscosity paints are not handled as well, you may find that you have to heat the fluids using the circulating paint stove. How do you use an HVLP paint sprayer? The particular job that you will be completing is important when you are thinking about using an HVLP paint gun. If the job is very large, you might want to choose a faster gun because of the slow speeds involved with low-pressure guns. These guns use up all of the paint you pour into them. 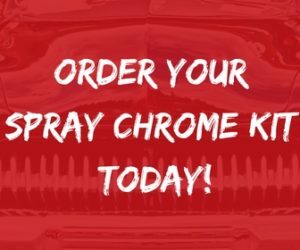 After you have filled the gun with your chrome spray paint, apply it following the steps we have outlined on our website. When you are spraying, keep the gun no more than 8 inches from the surface, and spray back and forth using even, slow strokes. Most HPLV guns give you control over spraying by having a button that you can turn on or off to spray. You’ll also need to make certain that you have a sufficient air supply. In order to break your chrome spray into finer particles, you can add a solvent in a suitable ratio so that you have the air supply that you need at the tip of your gun. You can adjust the pressure by triggering the knob. If you are using an HVLP paint sprayer, there are some common issues that you should watch out for. If you have an orange-peel look to your chrome, you should use more solvent and make certain that you are not standing too far away when you are applying it. If the material has runs or sags, add additional product because your mixture is too thin. If you see pin-holing, you need to make certain to apply your coats in thinner layers. Most of the common issues that people encounter with HPLV paint sprayers are things that they learn to avoid with painting practice. 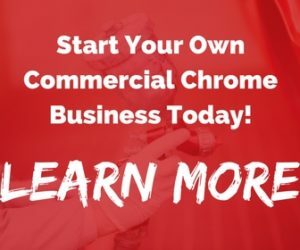 PChrome is highly versatile, and the ability to be able to use it with your existing equipment is a terrific benefit. To order your kit today, call us or order it online.